# Write short social media posts! There are many temptations, one of them is writing long social media posts. According to several studies, to increase user engagement, posts must be short. To follow these guidelines, you can simply create short titles in your content items. In this way, AutoTweet and Joocial will automatically create good posts. 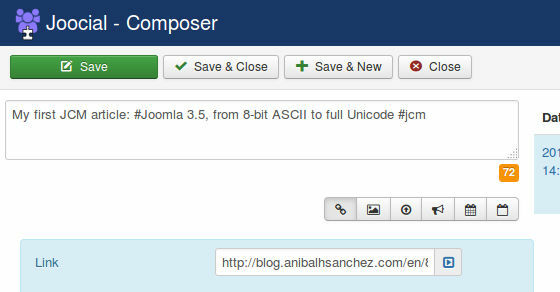 In the next level, when you create a Joomla content item, the post must be manually tweaked to be perfect. In this way, you create a perfect article title and a perfect post. 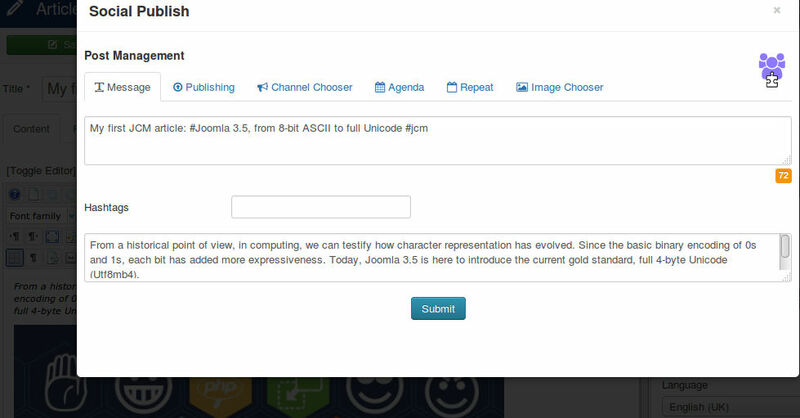 Joocial implements several features to edit posts and count the number of characters, with an associated color guidance.